Hauskaa lauantaita, tervetuloa viikon Allsorts haasteen pariin! "Nauhaa ja pitsiä" pitäisi löytyä aaskartelutyöstäsi. Vielä löytyy näitä joulukortteja esittelyyn! Hi; Happy Saturday, it's time for a new Allsorts Challenge! 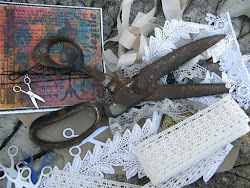 Susan's theme is " Ribbons and Lace"
Our sponsor is Crafty Ribbons! DT Card Info: Stamp Penny Black "sharing a secret 1132K" coloured with ProMarkers. DieCuts from Spellbinders and Memory Box. Pink gingham ribbon and broard pale pink lace. A very pretty and girly card Mervi. Very pretty card and a cute image and I love how you have used that die, must remember that as it looks grey behind the flowers. Beautiful! Gorgeous lace bow and cute design! A beautifully designed card with so much detailing, something I find quite tricky to do myself without feeling it ending up looking messy. This is far from messy, simply beautiful! Love the sweet little angels ... so glad you started 2016 with us a jingle belles. So sweet and girlie, love this stamp. Thank you for joining our 'monochrome' challenge at Passion for ProMarkers and please come back again. Sweet card and I love the swirl of pearls in the corner - pretty touch. Thank you for joining in the In The Pink challenge this time. Hope to see you again.